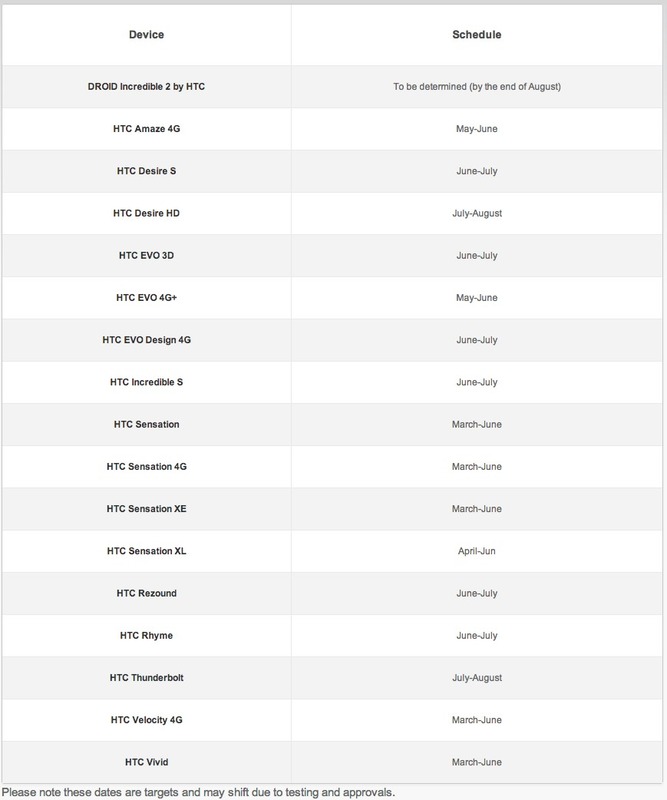 HTC posted a timeline for Ice Cream Sandwich rollouts some time over the last few days on their support pages and it includes more details than we have seen to date. The HTC Rezound and Rhyme will see Android 4.0 in either June or July, Thunderbolt in July or August, and the Incredible 2 is now up-in-the-air as to whether or not it will see it. Previously, the Incredible 2 was listed as a device on the upgrade list, so this is a new development. If you own one of HTC’s tablets, you are stuck on Honeycomb. In this new support page, HTC mentions that all of these devices will see Sense 3.6 with Android 4.0.3 rather than the newly released Sense 4.0 that comes loaded on the HTC One Series. 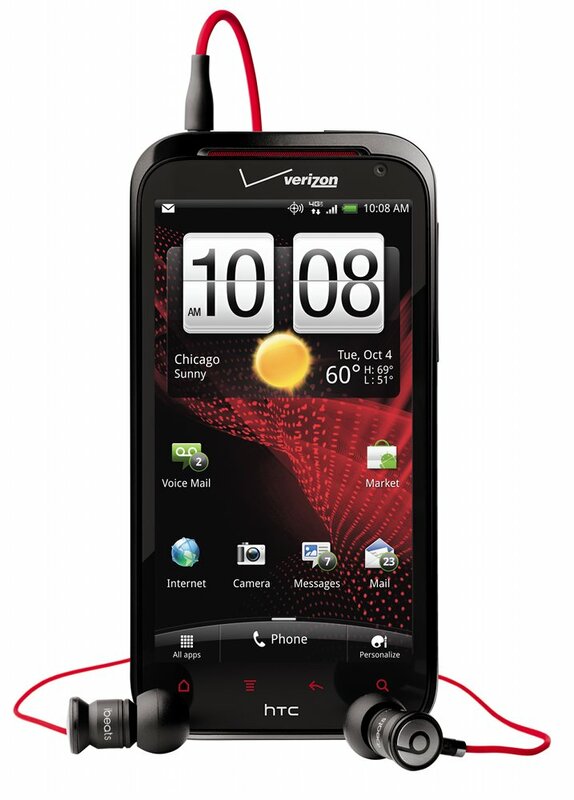 They claim that Sense 4.0 needs specific dedicated hardware which none of these older devices contains. They expect to finish rolling out ICS updates by the end of August.